Premenstrual syndrome (PMS) is such a regular occurrence for many women that they consider it a normal part of getting their period. The Mayo Clinic estimates about 75 percent of women get at least some form of PMS. What a woman eats and drinks can also have an effect. 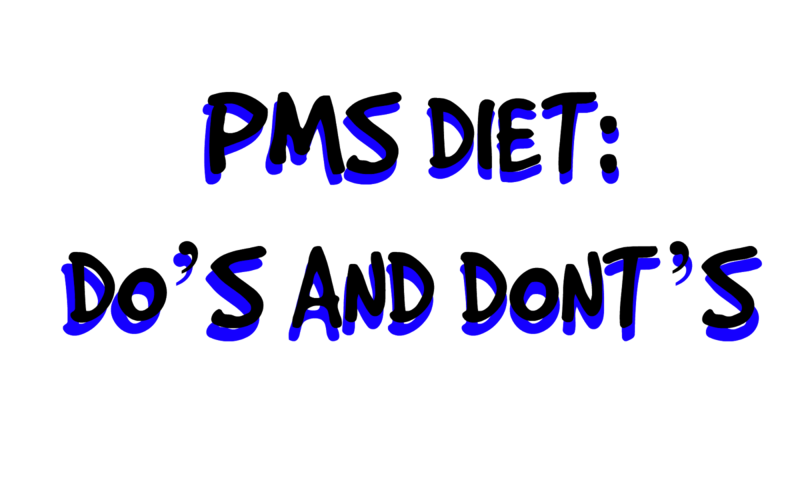 Dr. Christopher Calapai, a Manhattan board certified Osteopathic Physician in family medicine, and anti-aging medicine shares do’s and don’ts for getting through PMS as pain free as possible. Some studies have shown that calcium levels are lower in women with PMS, and that those with the highest intake of calcium reported the mildest PMS symptoms. Dr. Calapai suggests sourcing your calcium from foods such as low-fat milk and dairy, calcium-fortified breakfast cereals and orange juice, and leafy greens. Salt increases water retention, so if you suffer from premenstrual bloating, do limit the amount of sodium you consume in the run up to your period. Eliminate the salt shaker, and cut back on the canned foods, processed foods and condiments, all of which are overflowing with sodium. Craving the sugary confections like chocolate and cupcakes is totally normal. Try and reach for dark chocolate when you need to satisfy your sweet tooth. A bonus is, it will boost your mood. Losing a lot of blood can cause iron deficiency, which can cause lightheadedness or nausea. To counteract this problem, Dr. Calapai recommends stocking up on darker greens, like spinach, kale and broccoli to get your iron levels back up, but avoid eating them raw. For spinach, sautée with minced garlic and olive oil for a warm, flavorful bundle of nutrients! It will only worsen feelings of depression and moodiness. One study published in the British Journal of Obstetrics and Gynecology also found that regular alcohol consumption increased length of and severity of cramps in women who experience cramps during PMS. Dr. Christopher Calapai, D.O. is a board certified Osteopathic Physician in family medicine, and anti-aging medicine. Proclaimed as the "The Stem Cell Guru" by the New York Daily News, Dr. Calapai is a leader in the field of stem cell therapy in the U.S.
Dr. Calapai started his practice in New York City in 1986 and for over 25 years he has hosted nationally syndicated radio shows, including his two weekly call-in shows on WABC 770-AM, where he offers health and medical advice.